I don’t know much about this bike. I bought it because I have an interest in the MERCURY name. It’s interesting to compare this very run-of-the-mill British Mercury cycle with the American Murray Mercury of the same year …absolutely at the opposite end of the spectrum in terms of innovation and style. The one below is a photo from the internet. 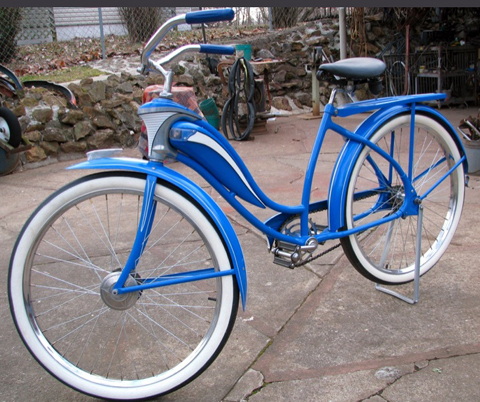 I do have a 1939 Murray Mercury Boys bike. You can see it on the next page down on this website.